When we choose a hotel we hope that we’ll get that room and those amenities that were on the beautiful photos of the booking websites. But sometimes hotels can be full of surprises that only travelers who visited them can honestly describe. That’s why it’s so important to read reviews before choosing a hotel. We at GIGGAG put together a new collection of hotel surprises: absurd names, unusual window views, weird bathrooms, and many other strange things that travelers managed to capture. But let’s look at their positive sides. 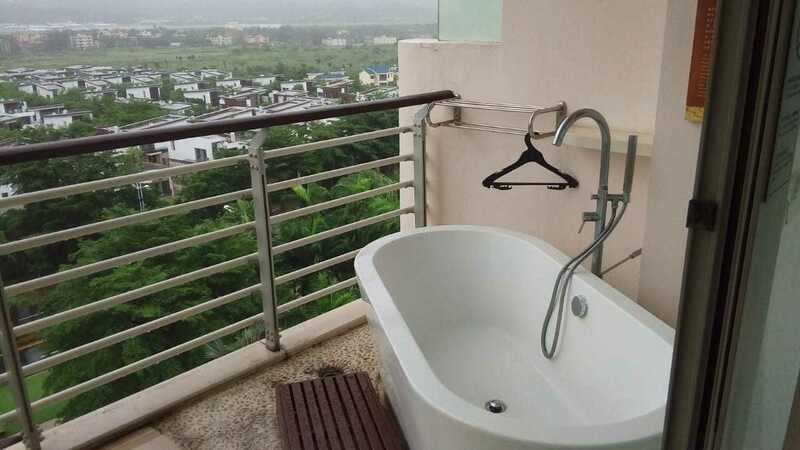 Where else could you take a bath on the balcony? This Is how The World Map Looks In one Of the Hotels In China. Interesting, Isn’t It? We wonder What It looks Like Inside. Got Any Insecurities? Stay In this Hotel In Hainan, China, And You’ll Get Rid Of them. What Could Be more Romantic Than Taking A bath And Enjoying The Surrounding Views...while Somebody Else Enjoys The View Of you. The Hotel Placed A sink Inside The Room Even Though There Was Plenty Of space In the Bathroom. A toilet For Superheroes — You Can’t Get Inside Without Superpowers. This Room Has A more Interesting Show Than Anything On TV. They Know How To fight Theft In this Hotel. Bonus: But Some Hotel Surprises Can Be rather Pleasant. In this hotel, a minibar full of cold beer was installed right in the bathroom. Which surprises did you find on your trip? Tell and show us in the comments below.